This isn’t your average spring break trip, and these aren’t your average students. 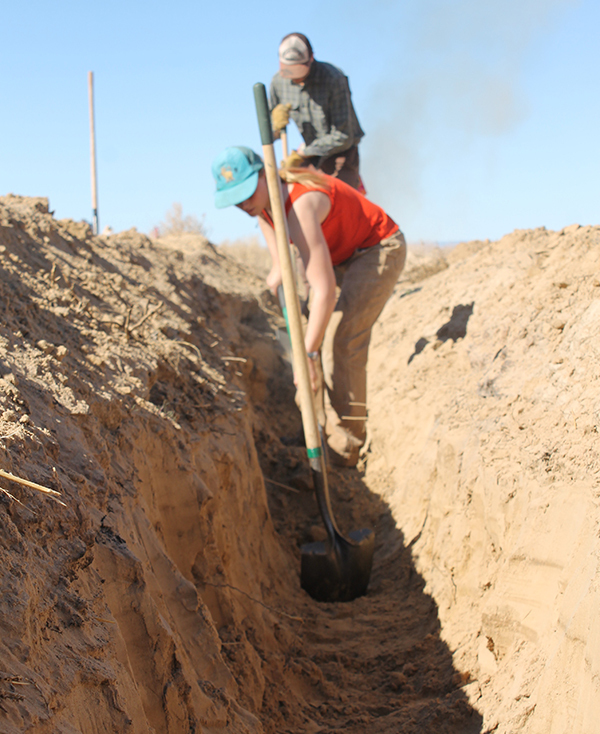 This March, volunteers from Fort Lewis College and Western State Colorado University spent their spring break away from beach umbrellas and volleyball games, and instead dedicated their time to restoring springs on the Vermilion Cliffs, supporting sustainable businesses and energy development on tribal lands, and preserving traditional farming methods. 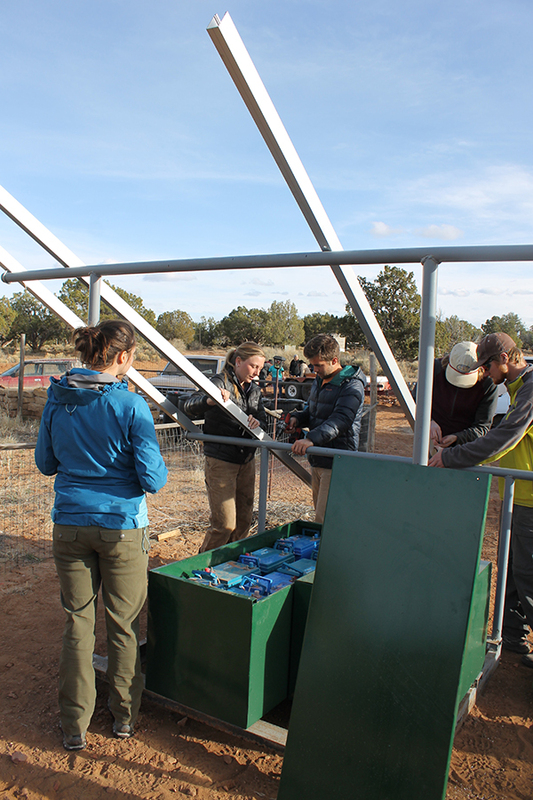 Above: Students from Western State Colorado University in Gunnison, CO worked on restoring springs, removing invasive species, and transplanting native plants in the Vermilion Cliffs National Monument. After we finish helping prepare his plots for planting, Leonard takes us around the property, talking about the variable flows in Moencopi Wash as a result of Peabody Coal drawing down the aquifer to slurry coal--coal that provides electricity to Southwestern cities outside of tribal lands. During one violent flood, the lower half of his mother’s property was covered with silt and water. The pick-up truck sticking out of the ground and the water marks six feet up the shed walls stand as proof of the event.